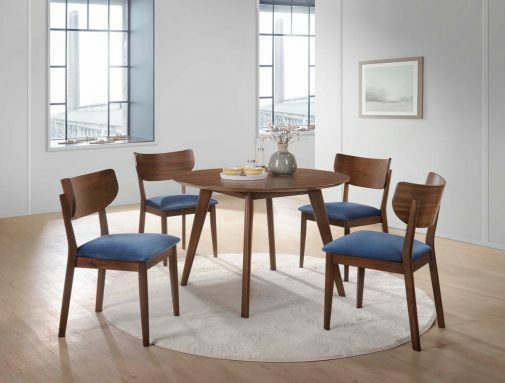 Thinking about buying a new dining room set? 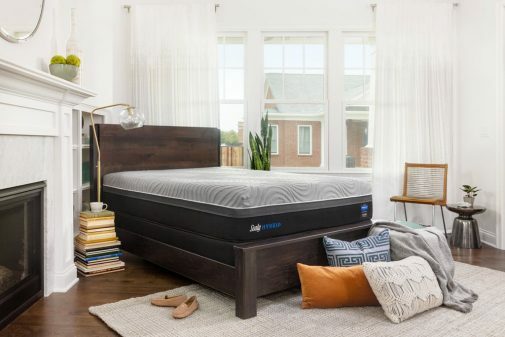 In addition to our exclusive guide to buying a dining room table, we’ve also compiled some of our favorite traditional dining room sets available at Star Furniture & Mattress. 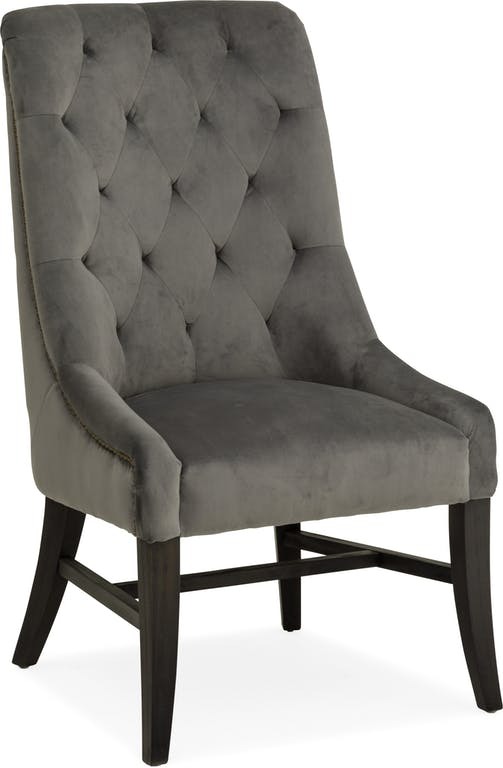 If you love the traditional furniture style and are looking to redesign your dining room, these pieces will inspire you to create the dining room of your dreams. 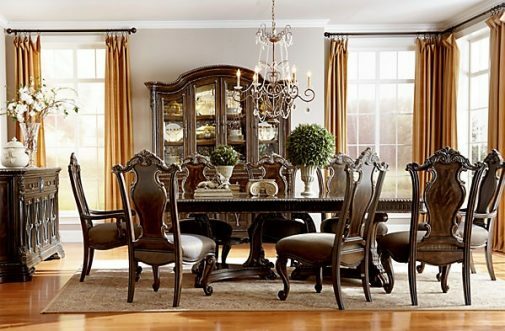 From its rich wood tones to the ornate detailing on each chair, this rectangular dining room set would fit perfectly in a traditional dining room. 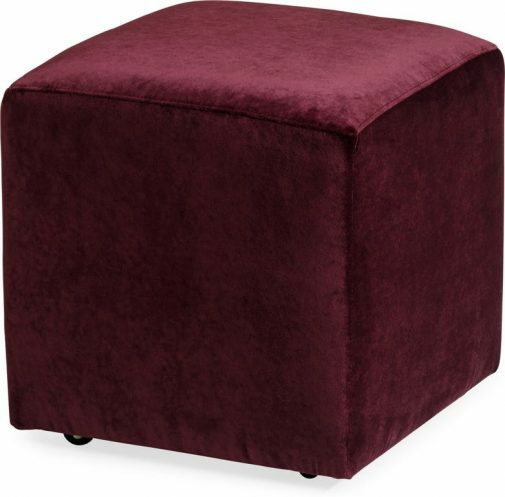 The double pedestal base provides the stability you need without crowding under the table, and the 26” leaf gives you extra seating room when entertaining guests. 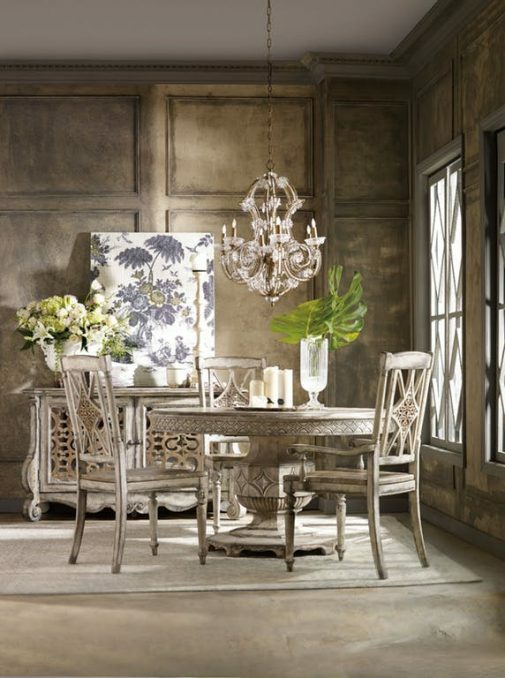 If you’re looking for a large, sturdy traditional table, look no further than this dining room set from the Arch. 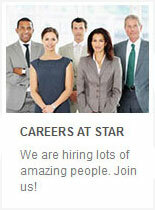 Salvage collection. 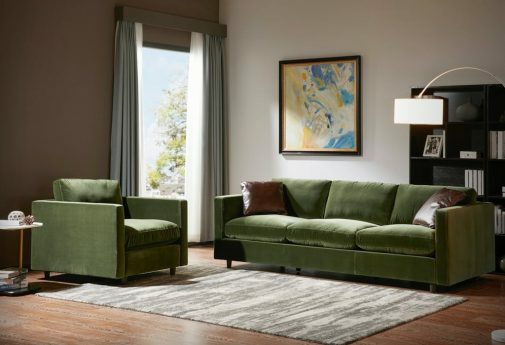 You’ll love the industrial base, beautiful Parch finish, and elegant chairs, which feature beautiful detailing, nailhead trim, and finely tailored upholstery. 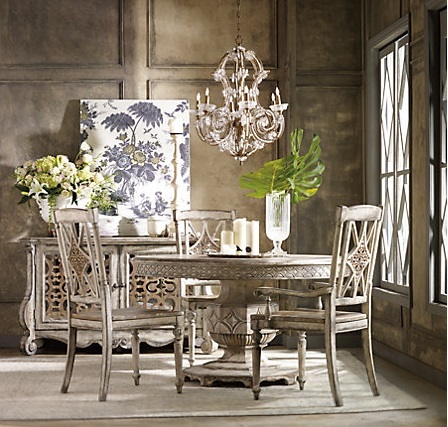 From the elegant scroll work and stunning pedestal base to the curved details in the chairs, this traditional dining set brings together an array of classic design elements and pairs them with a more casual, rustic finish. 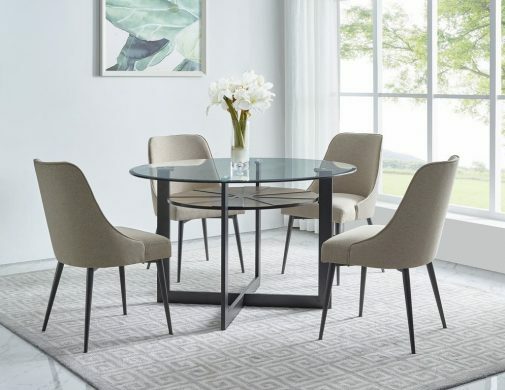 Not only will this table look great in a more traditional dining room, but it also includes two 20” leaves, so you can make as much room at the table as you need. Not all traditional dining tables need to be rectangular. 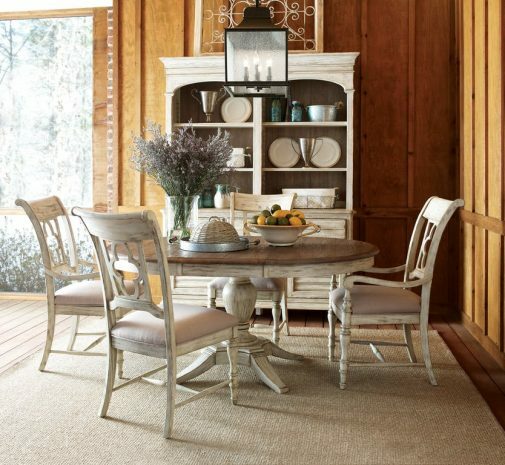 In fact, this round dining set is inspired by timeless farm style antiques found in Old World Europe. 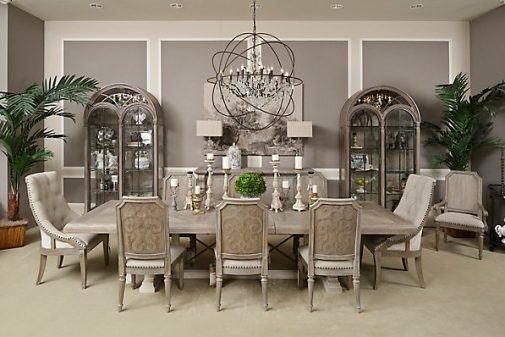 Not only does it feature the intricate detailing you’ve come to expect from traditional style furniture, but it doesn’t require as much space as many other traditional sets, making it perfect for smaller dining rooms. Decorating your home in the traditional style? 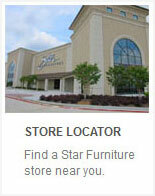 Visit a Star Furniture & Mattress store near you, where you’ll find furniture in every style, for every budget. 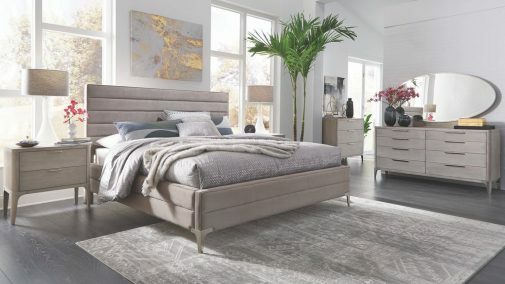 In the meantime, check out our interior design blog where we cover everything from traditional bedroom furniture you’ll love to the hottest interior design trends of 2019.